We learned from Day 2 that marriages during the times of the Chinese Peranakans were arranged. This means there was no scouting for a mate, no courtship nor dating. So you wonder what were the Nyonyas (ladies) doing while their parents were busy finding them a man to marry? 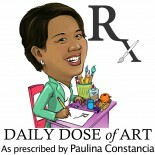 They were at home doing beadwork and embroidery. Apparently the quality of the home crafts produced by a young lady is a predictor whether she will be a good mother and wife. 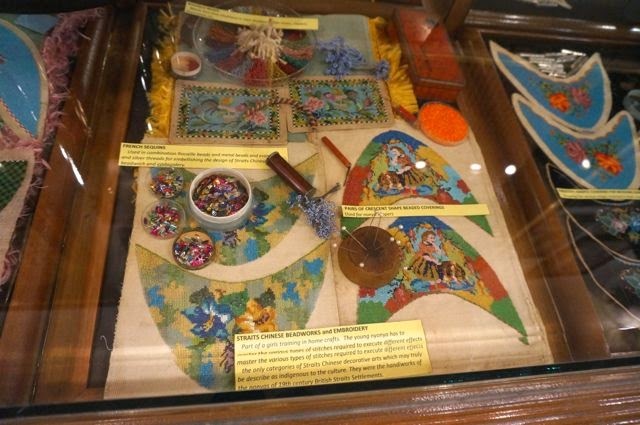 Today we look into the unique and colourful beadwork and embroidery of the Nyonyas (or Peranakan ladies). What I like about this Nyonya home craft is that it’s not only decorative but also functional since it gets integrated into footwear. But here’s the curious part for the unmarried Nyonyas (women)of the very early days, it was a case of ‘so many shoes with no place to go!’ I don’t know how true this is but according to our guide single Nyonyas were only allowed out of the house once a year. 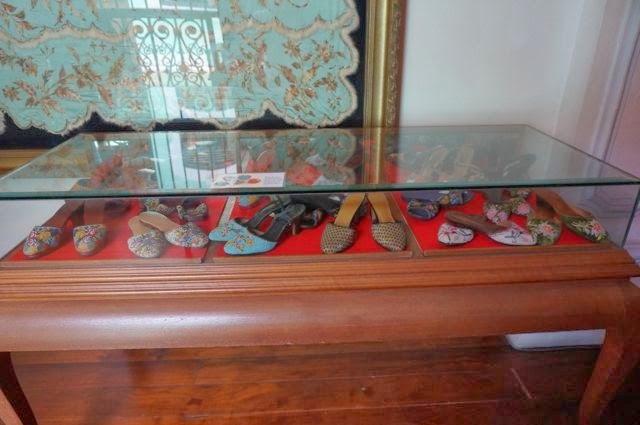 Here’s a display of some finished slip-on sandals. 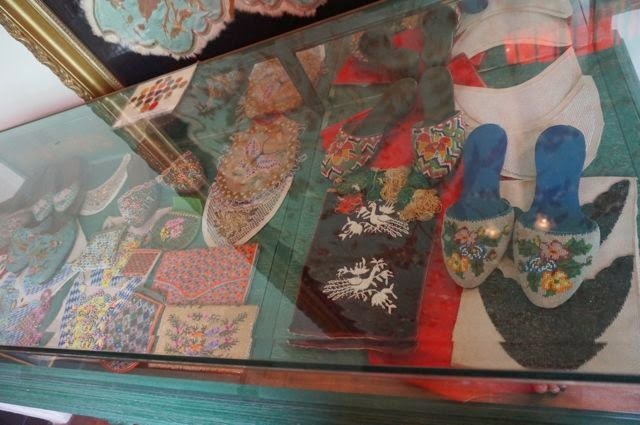 “The beaded slippers were worn by both the Peranakan males (baba) and females (nyonya) and were popular in the 1930s. Nowadays, the beaded slippers are more commonly worn by women only. The beaded slippers were made for two types of occasions. For happy occasions, like the Chinese New Year or birthdays, these beaded slippers used colorful beads with intricate patterns. For sad occasions, the beads used were likely to be in black, white or blue colors (Chinese mourning colors), and the patterns were simple. This entry was posted on March 20, 2014 by Paulina Constancia in Explore and tagged travel, world cultures.